A good weekend on the playing front for Galway Clinic sponsored community based club Maree/Oranmore fc with a plethora of club sides in competitive action. Please support our NEW Development Draw at just a tenner a ticket,with tickets now being distributed. There are excellent prizes on offer including a 2000 euro travel voucher and weekend breaks. The u16 Premier League boys side keep their top of the table position and their unbeaten League record with a hard earned narrow 3-2 victory against North Galway club Kilshanvey Utd who could count themselves unfortunate not to share the spoils in a close competitive game in Oranmore on Saturday afternoon last. There were strong performances from Daniel Cahalane, Michael Cotter, Ciaran Black, James Whelan and Morgan Morrin with the goals courtesy of Black, Ronan Killilea and a winner eight minutes from time from Cian Horgan. These lads are out this weekend with a home tie in the u16 Premier Cup v Athenry fc. Not so fortunate were a depleted u14 premier boys side who went down to a physically strong Salthill Devon side in the League on Sunday. However the u14 div 2 side maintained their table topping status defeating a brave Craughwell Utd side on a 7-1 scoreline with Luke O'Connor notching a hatrick and Cathal Glynn and Cormac Breen excelling in defence. Several of the u12 club sides were in action on Saturday last, the u12 Premier side defeated Athenry fc 2-1 in Maree in a close competitive game with Charlie Healy notching a brace while the u12 Division 2 side defeated Cregmore/Claregalway on a 2-0 scoreline with Keven Blankson getting both. The u12 division 3 sides hosted a challenge against Tuam Celtic on Saturday in Maree. The u17/u18 Premier Lads advanced to the semi final of the local cup after ousting Renmore afc in Oranmore on Sunday last. Meanwhile there was heartbreak for the u12 div 1 side who lost out on penalties in the local cup after extra time to Mervue after leading on two occasions ended 2-2 with the Maree/Oranmore fc goals coming from Gus Lohan and Conor Goodwin. Maree/Oranmore fc are very grateful to EA Sports who sponsored Training tops for our thriving Football For All Programme.Great credit to Paul Mc Carthy coordinator and our club coaches David Watterson and Mike Quirke and all the parents. 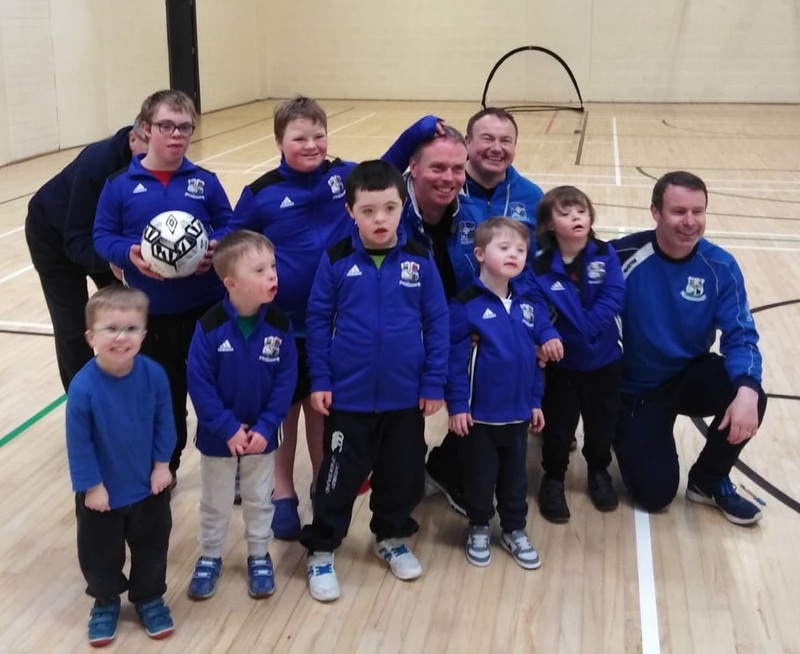 Our Football For All Programme takes place every Saturday 4pm to 5pm in the Maree Hall. Next Sunday April 7th will see the club organised St Columba's Credit Union Tournament continue with boys u7 and u8 sides and girls u8 and u10 in action.